Updated, feature filled and roomy ranch home with much nearby! 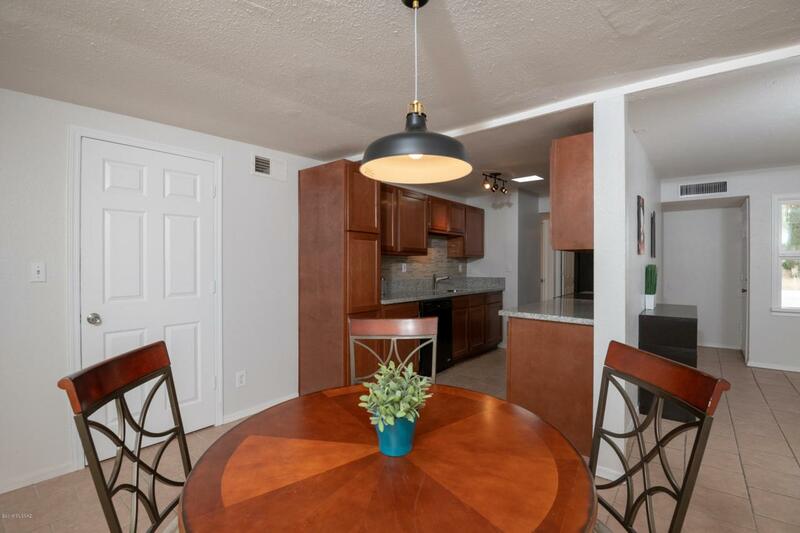 Enjoy a new kitchen complete with all appliances. Dine with oasis mountain backdrop. 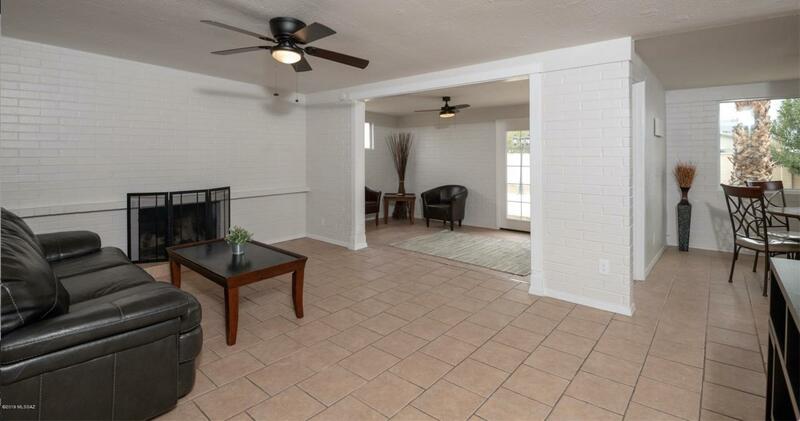 Large living room has wood burning fireplace. 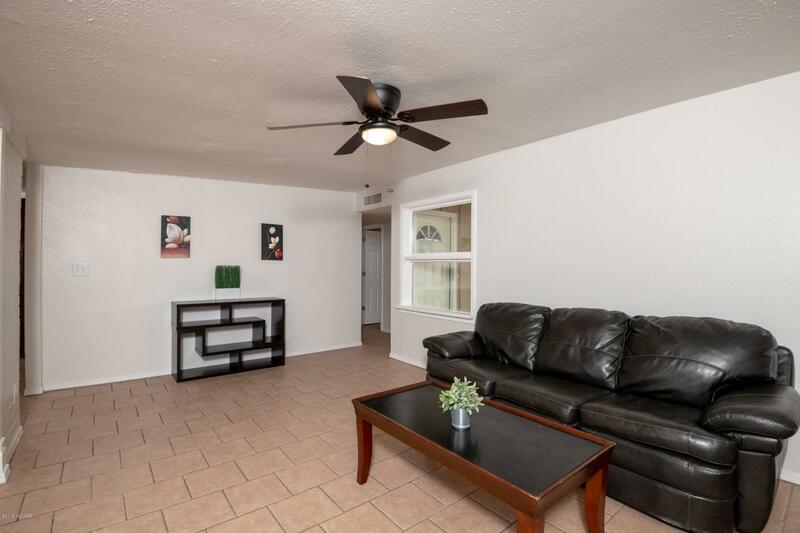 Well-sized master with own bath & walk-in closet. Add'l bedrooms all fit full/queen beds. Nicely flowing floor-plan. Laundry inside. Storage room and/or workshop. New ceiling fans & skylights. Tile floors. New paint. A/C & gas heat. Huge, fully fenced backyard with storage shed, mountain views, plus space for more. Plenty off-street parking. 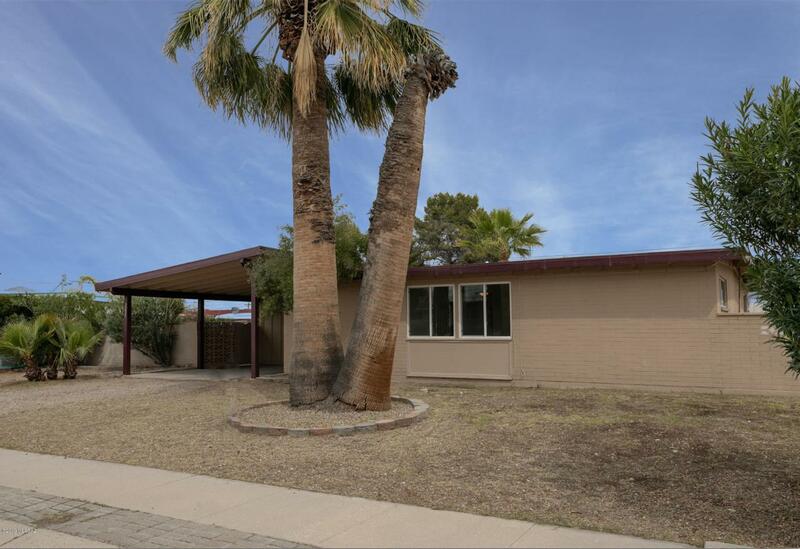 Great E/SE Tucson location with Ford elementary a stone's throw, Lakeside & Lincoln Parks plus Fred Enke Golf Course all near. Easy access to DMAFB. There's even public transit that'll take you all the way to UA/downtown & other points too!